50 videos, 50 creatives, 50 pounds. 50 Uprise aims to leave a mark on hearts and minds through mindful content. This new movement, from content creator Upshot Entertainment, will give creatives of ALL kinds the opportunity to have a professional video shot and edited at a price that is unheard of. You will get a platinum service for just £50 and Upshot will devote the same love, attention and detail to each video that they always do. 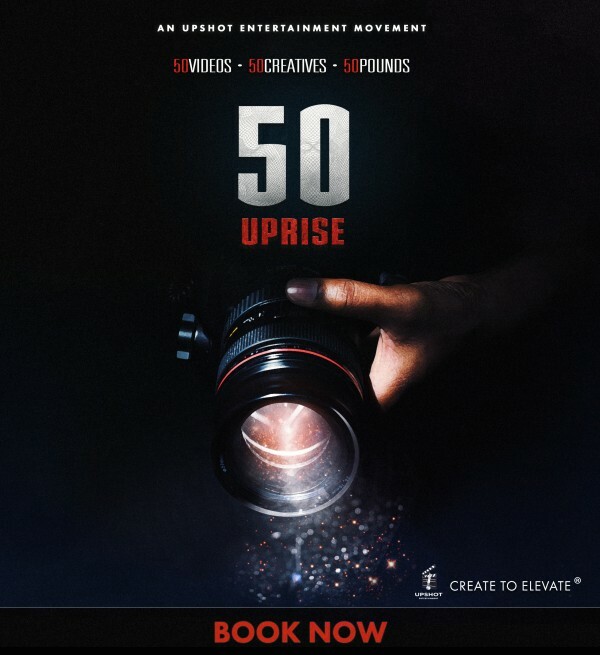 Watch the video below for more information and visit www.50uprise.com to book your slot.